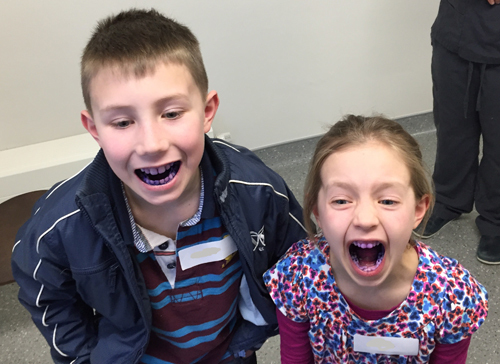 On Thursday 18th February we ran a Children’s Open Day which proved to be very successful. The children took part in fun experiments such as testing the acidity of different drinks, learning how fluoride is important for their teeth and guessing how much sugar is in different food and drinks. They had a go with disclosing tablets and were given a goody bag to take home. Feedback was great and they said they would like to come again so keep an eye out for future dates on our Facebook page and newsletters. Previous Previous post: Fundraising Target Reached! Next Next post: Congratulations to newly qualified Dental Nurse, Sophie!